As Michigan food poisoning lawyers, we strive to provide the highest quality legal representation to each and every client. 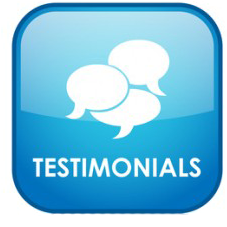 On the page below, you will find testimonals from actual clients we have represented. Find out why we are the most trusted personal injury law firm in Michigan! As always, if you have specific questions about a food poisoning case, call us at (800) 606-1717. An attorney will take the time to answer all of your questions. If you have a case, we will represent you under our No Fee Promise, which means you will pay nothing until you receive your settlement check! I hired the personal injury law firm of Buckfire & Buckfire, P.C. to handle my food poisoning illness case after suffering injuries from eating at a banquet hall. I was very pleased with the results of my case and would highly recommend the firm to any of my friends and family.